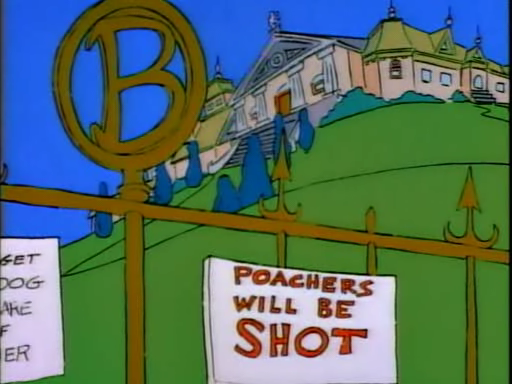 Zombie Simpsons has a well established track record for wild plot twists, nonsensical stories, and characters behaving so strangely that one wonders whether or not they’re still supposed to be human. “The Changing of the Guardian” valiantly upheld that reputation, particularly in the way it took its main conflict, scrambled it beyond even a semblance of coherence, and then awkwardly jammed it into just the last two minutes of the episode. 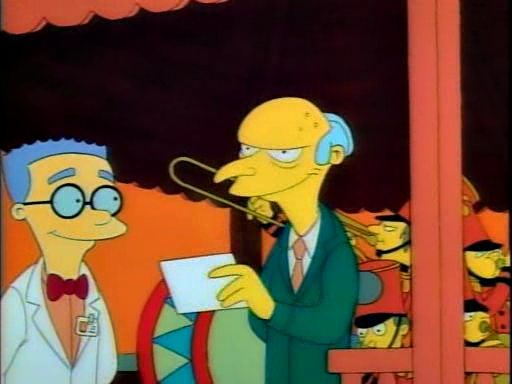 Consider, for a second, the enormous inhumanity this episode expects you, the audience member, to swallow. 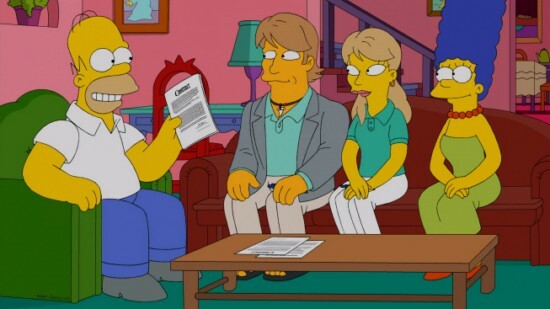 Set aside the oddity of Mav, the millionaire surfer, and his wife Portia, the ultra-liberal lawyer, deciding to basically steal the Simpson children for no reason. Or Homer and (especially) Marge trusting their kids to these people they barely know. Set aside even the brain dead way they all met. Just think about the ending from Bart, Lisa and Maggie’s perspective. Mav: Honestly, we fell in love with ’em. And it just seemed like you guys didn’t really want ’em. 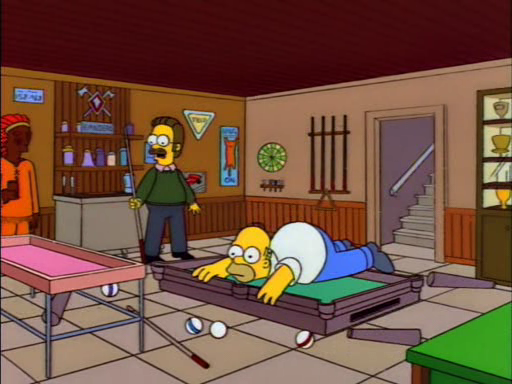 Homer: Sure, you wanted the fun parts. But do you want to go their little league games and recitals. Homer: Well, I’m glad someone has. Wait a second, weren’t the kids just there for a weekend? And do they have baseball games and music recitals up there in the mountains? 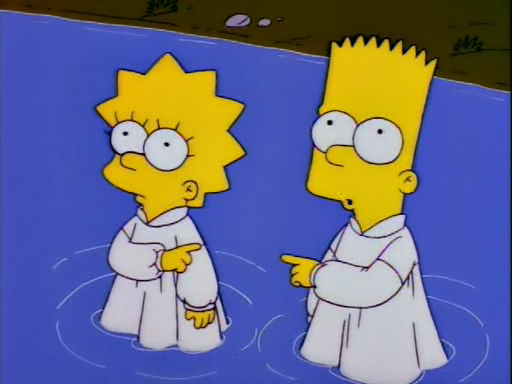 Marge: Look, before anyone says anything else, how could you possibly think you could get our kids? 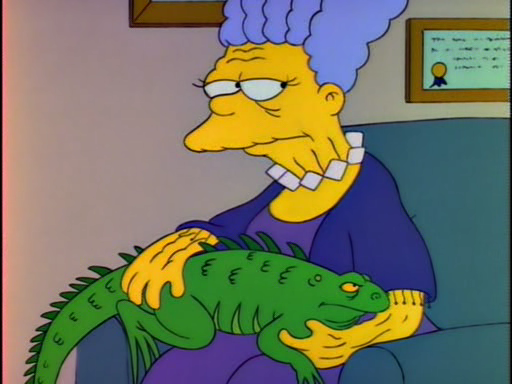 Portia: It happens more than you know, Marge. I’m a lawyer, he’s a surfer, that combination’s pretty unstoppable. Bart: Well I’m afraid that we don’t want to be with anyone but Mom and whoever she chooses to be with. 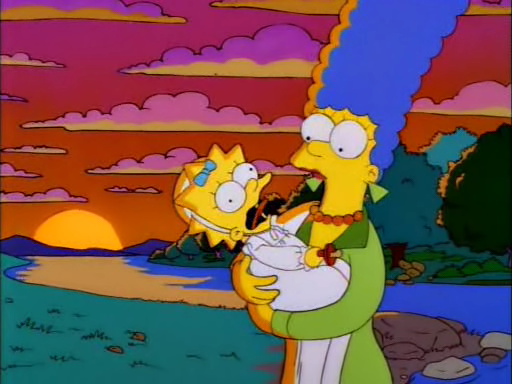 Lisa: Portia, you’re the woman I dream of becoming, but Mom is my mom. Portia: Fine, but you’re leaving a gap in our lives that can only be filled by foreign travel, sleeping late, and gourmet food. Mav: You guys lock up. We’re going to Bali. So . . . they just give up? Mav and Portia, whom the episode has been portraying as the most hyper-competent and pulled together people on Earth, thought they could just take the kids and then they just abandon the whole idea at the first objection? 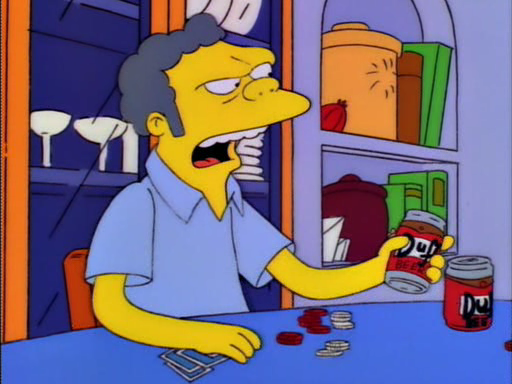 Nobody’s actions here, not Marge or Homer, Mav or Portia, or Bart and Lisa fit with even just the preceding scenes, much less who they’re supposed to be in general. The story in Season 24 is so dumb that the kids basically have to be airbrushed out of it because their presence at any part of the ending would cause the entire flimsy thing to come crashing down around itself. By contrast, the story in Season 7 involves them at every step, not only because that way it makes sense, but because there’s a lot of humor and comedy to be had from Bart, Lisa and Maggie living with people other than Marge and Homer. 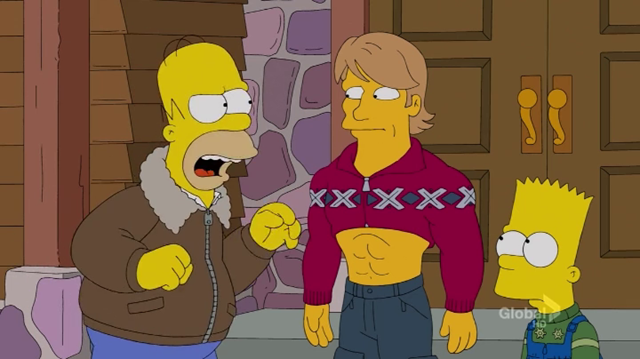 Zombie Simpsons thinks having Homer rant is the be all and end all of comedy; The Simpsons knew better. After surviving a tornado, Marge and Homer seek out guardians for the kids, in case the worst should happen. They first turn to friends and family, including Homer’s half-brother, Herb Powell with whom to entrust their kids, but when Bart and Lisa fall in love with a super-cool couple, Mav and Portia, Marge starts to question their potential guardians’ true motivations. Rashida Jones is a guest voice tonight. I guess she must be Portia. I also guess I’ll never find out because I am going to catch up on Justified instead.